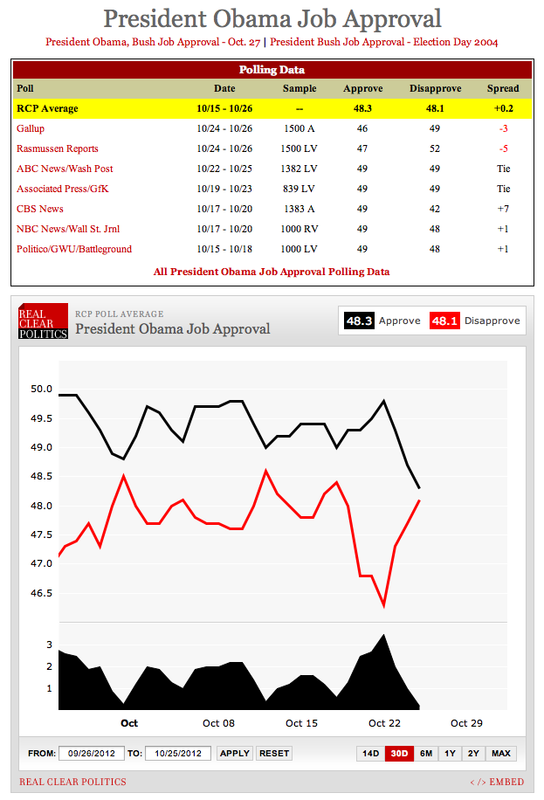 EBL: Is Barack Obama's job approval cratering? Is Barack Obama's job approval cratering? Michael Barone says Mitt Romney will win election. The polls that have Democrats most worried. Let's hope his EC prospects are cartering too. After his literally shameful handling of the Benghazi crisis, he'll be lucky to just lose the election. He should be ridden out of town on a rail.